Born and raised in New York City and of Puerto Rican heritage, David was exposed to Latin music and dance at a very young age. In 2007, after years of dance training at local schools, David joined the Universal Mambo Dance Academy, and would go on to perform with the company in over a dozen shows in cities such as Orlando, Miami, Atlanta, and Washington, D.C. In 2009, David moved back to NYC and began training under Felix “Pupy” Insua and Jennifer Donello at the Oriki Omi Oddara Afro-Cuban Dance Theater. In 2012, after obtaining his B.S. 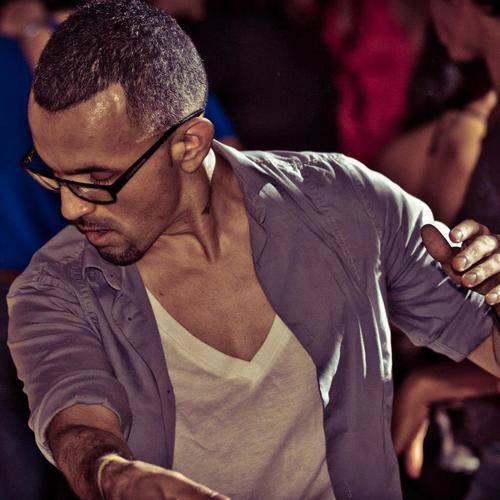 Degree in Education, he started DG’s Afro-Latin Dance Project. Since 2013, David has performed and choreographed shows at events such as the Latin Jazz Festival, The Dance Happy Project, The Creative City Project, The International Fringe Festival, The Shift and The iDance festival. He has taught workshops at University of Central Florida, Florida State University, Embry-Riddle University, and has been a featured instructor for the last several years at National Dance Day.